The Variable Temperature (VT) brings out a different flavor experience with the change of temperature settings, not only improving the taste,but also saving battery and liquid consumption. eVic-VT is not your typical vape, it’s an evolutionary start. 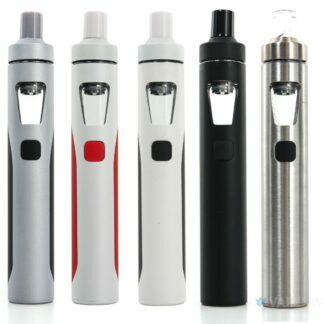 eVic-VTC Mini, a new version of eVic VT, is much cuter and more fashionable in appearance. eVic-VTC Mini is one of the most innovative device ever made by Joyetech with its new integrated magnetic battery cover based on interchangeable 18650, upgradable firmware, and even more features than any other vape we’ve ever released. 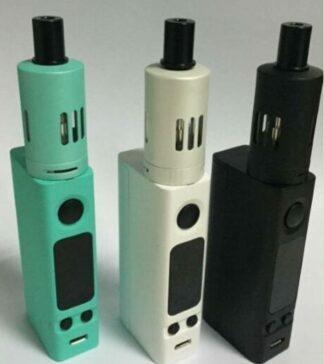 In addition to the high power of 60w and variable temperature control system, the multiple choices of attractive colors make it even more popular. Joyetech is proud to introduce a compact starter kit called the the eGo AIO (All-in-one) designed for beginners or users looking for a new lightweight setup. Joye eGo AIO features a tank and a built-in battery also know as the “All-in-One” design. 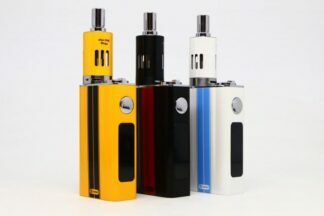 This “All-in-One” design combines a very slim compact shape with the very convenient battery and tank combo.